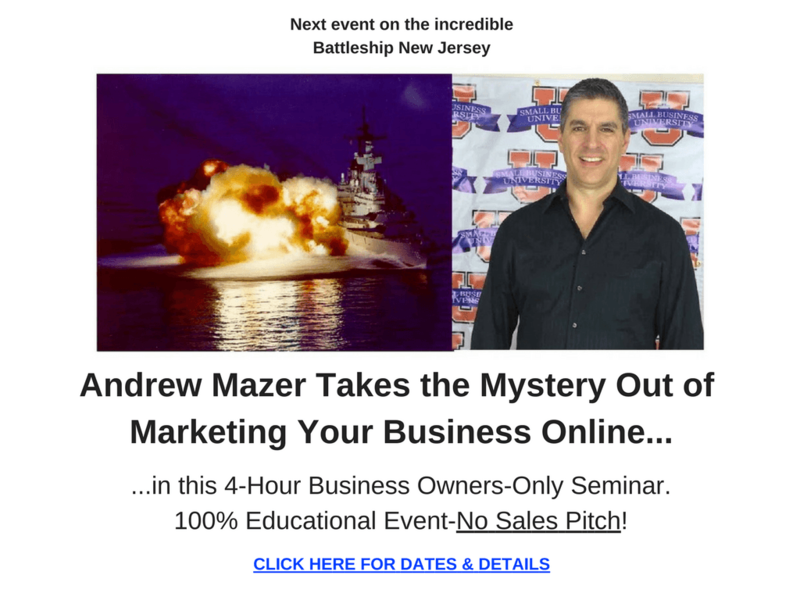 Small Business Marketing Educational Seminar for Business Owners-On Battleship New Jersey. What You Don’t Know About Marketing Your Business Online Is Costing You a Fortune in Missed Opportunities and New Customers. "You can't manage what you don't understand." Hi, I'm Andrew Mazer and I'm here to tell you this: marketing online is not as complicated as you think. In my seminar, THE BUSINESS OWNER'S GUIDE TO MARKETING ONLINE, you'll understand exactly what I mean. I'm not a computer geek! I'm a business owner just like you...and in a few hours, a little breakfast and a couple cups of coffee, you're finally going to say, NOW I GET IT! The doors open at 8am for check-in, casual networking, breakfast and refreshments. The education begins at 8:45-10:30. We have many valuable door prizes and every attendee who stays until the end will get one! We have the room until noon for more networking and Q & A. You Can’t Manage What You Don’t Understand…But You CAN Understand…It’s Easier Than You Think! Marketing your business effectively online is essential today. But if you don’t have a basic understanding of it, can you really expect a profitable outcome?Andrew Mazer of Mazer Marketing delivers a powerful seminar and consultation in plain language any business owner can understand. Watch the video below. Then, below the video, you can read all the details about the 1/2-day seminar/workshop/consultation. After you register for the event, Andrew will set up a 10-15 minute consultation call. In this call, you will discuss what’s working, what’s not working, and where you think you need the most help. Andrew will then visit your website, your social media activity and the current state of your online presence to be sure you get the most possible benefit from the seminar. 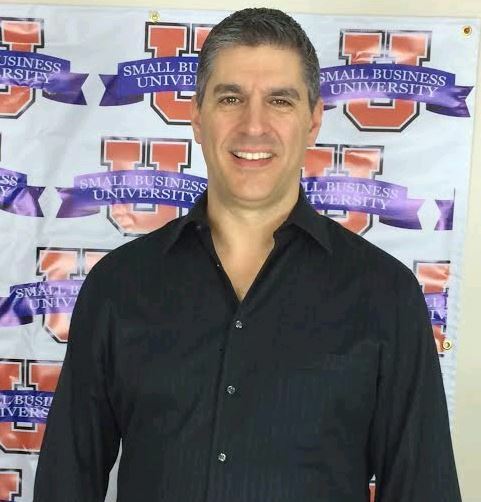 I'm Andrew Mazer and I'm passionate about helping and supporting small business owners. In this seminar, Andrew will cover the techniques he’s been using to market his own businesses online since year 2000 plus those of his clients. “There’s nothing fancy or cutting-edge about what I do. These are fundamentals of marketing applied to the online platform. They’re easy to understand, they’re easy to implement, and they work.” The content will cover all the points discussed in the pre-seminar consultation with specific what-to-do and how-to-do-it instructions. These fundamentals form the foundation (and are really ALL that are necessary) to have a Rock-Solid Online Presence™ which will get you a steady flow of new and existing customers, clients or patients. My course comes with a 100% Money-Back Satisfaction Guarantee. If you’re not completely satisfied you got significantly more value than the tuition price your money will be fully refunded. Go home and request your refund by email…no awkwardness! No embarrassment. No questions asked!